Bring your friends and family to Rochdale Park (by St. George School) for an evening of fun and excitement. BBQ, fire pits, bouncy castles, soccer, Let’s Roll Recycling, face painting, balloon animals, and more! 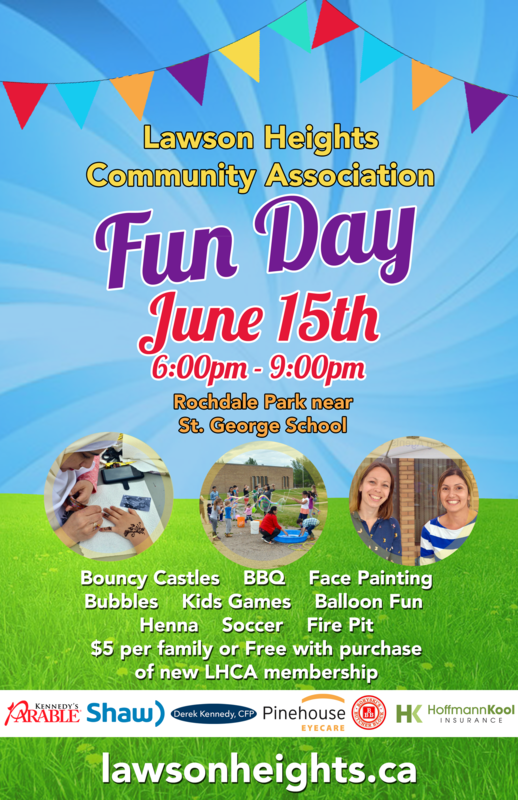 Contact info@lawsonheights.ca to volunteer at Fun Day or to become a sponsor!